It’s the end of an era as Ireland face Wales in Cardiff this Saturday. 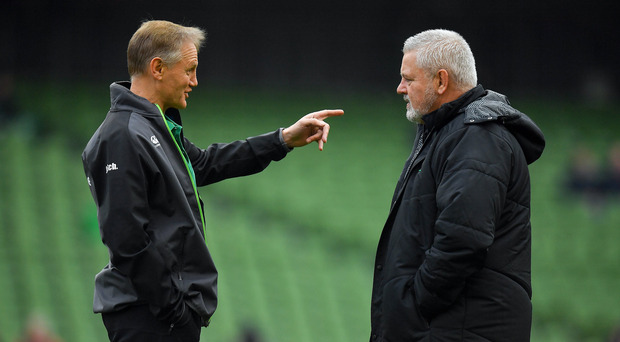 In the last Six Nations game for both Joe Schmidt and Warren Gatland, the winner decides who has the best head-to-head record against each other and Luke Fitzgerald believes the game is going to be 'an absolute war'. Plenty to look forward to then, even if it’s unlikely that Ireland will retain their Six Nations title, and Irish Independent rugby correspondent Ruaidhri O’Connor joined Luke Fitzgerald and Will Slattery on this week’s Left Wing podcast to preview the final action in the 2019 Six Nations. The panel discussed how much Sean O’Brien’s place is in danger, with one eye on the World Cup. "He needs regular starts, he’s too good a player not to be considered. But Sean has a lot of work to do and he needs to hit form," said O’Connor. Whilst there’s also the conundrum of Tadhg Beirne not getting more game time under Schmidt. "Joe is the best coach in the world but he’s an odd selector and some of his choices are hard to understand," said Luke. For their predictions, Luke was going for an Ireland win and England to beat Scotland, while Ruaidhri reckons Wales have the momentum to win them the Grand Slam in Gatland’s last game in charge.